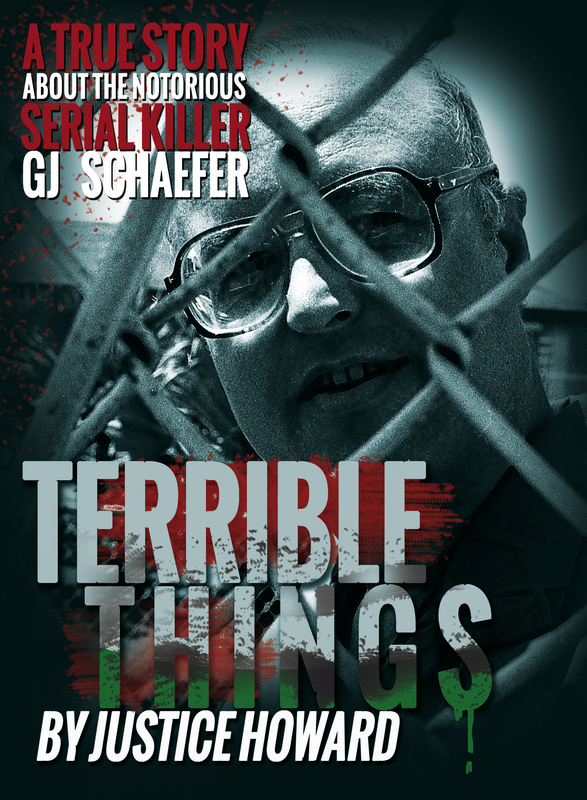 This book is my personal account of what it was like to meet the most evil serial killer of all time up close and personal. 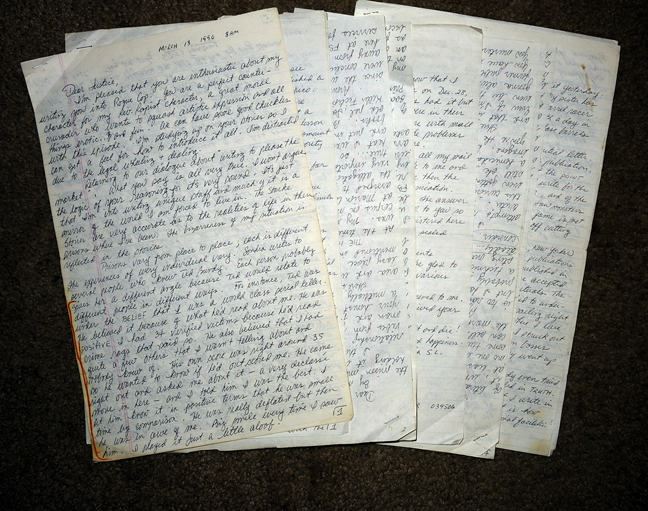 It includes excerpts of his over 50 letters to me, containing info of his 34 kills and what it was like to have Ted Bundy as a ‘celly’ in their sick personal battle for title of “best killer” and Ottis Toole as his buddy. There’s a program on the crime channel called MOST EVIL It’s about a psychiatrist that came up with a yardstick of sickness that goes up to 22. This scale documents the level of evil in all of the world famous serial killers. Manson got a 17 on the scale of evil. Dahmer an 18. Ottis Toole reached 19. Schaefer is the only person that ever achieved a 22 on the scale of evil. This story is my personal account of what it was like to meet, interact and penpal with, one of the sickest serial killers of all time. During the first 15 seconds of Criminal Minds TV show, there’s a 15 second clip before the show that showcases, in a collage, all of the best known SK’s like Ramirez, Bundy, Gacy etc. etc. Schaefer is right there with his chubby blonde librarian face in with the rest of the evil pack. My good friend Sondra London, who interviewed Danny Rollings, Ottis Toole, Henry Lee Lucas, Schaefer, and many many others is one of the most knowledgeable experts on serial killer psychopathy on the planet. Sondra worked alongside the FBI profilers and interviewed many famous and infamous SK’s. I asked Sondra the other day who was THE sickest puppy of all of the SK’s she had ever encountered, she never missed a beat with her immediate non-flinching answer which landed back in my lap with lightning speed “No doubt it was Schaefer.” So this is my personal non-fiction story of what it was like to have had this experience. “Her writings are well-though-out-scenes from movies that play in the mind of this well-respected photographer.